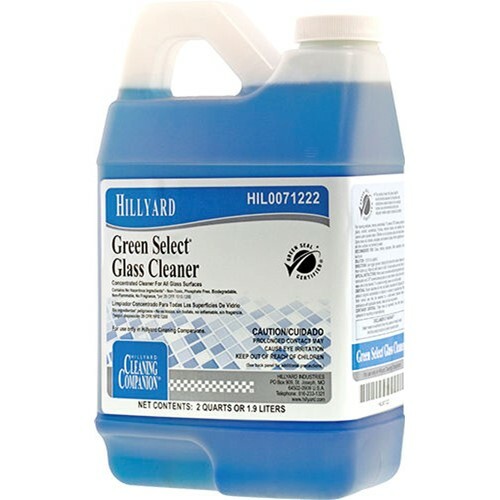 Green Select Glass Cleaner will clean windows, TV Screens, porcelain, plastic, counter tops, restroom fixtures, and stainless steel. Works well as an all-purpose spray and wipe for any surface not harmed by water. Formulated to be effective with cold water, contains no phosphates and is biodegradable which means it has a lower impact on the environment. No volatile organic compounds and no added fragrance means Green Select Glass Cleaner has a positive effect on good indoor air quality.